Yesterday Mark and me did a spot of shopping, we only nipped into Doncaster for the afternoon but had a nice day all the same and managed to pick up a few bargains! While we were gone we received some studio lighting that Mark had ordered a few days before. This morning we set to work on some new pics and managed to photograph lots of jewellery for the website. 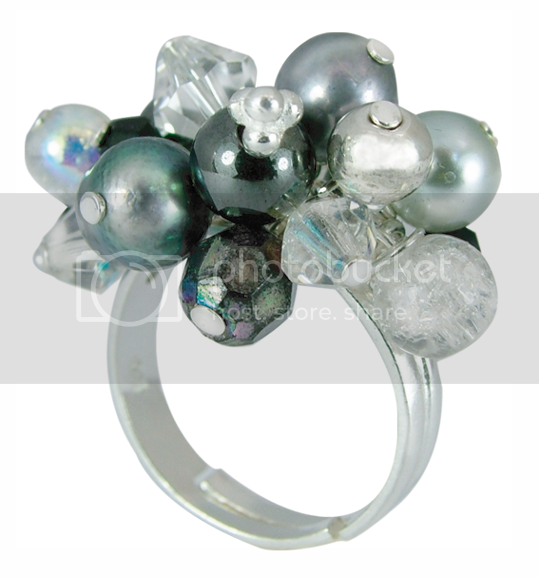 Here's one of my 'Midnight Sparkle' sterling silver cluster rings.